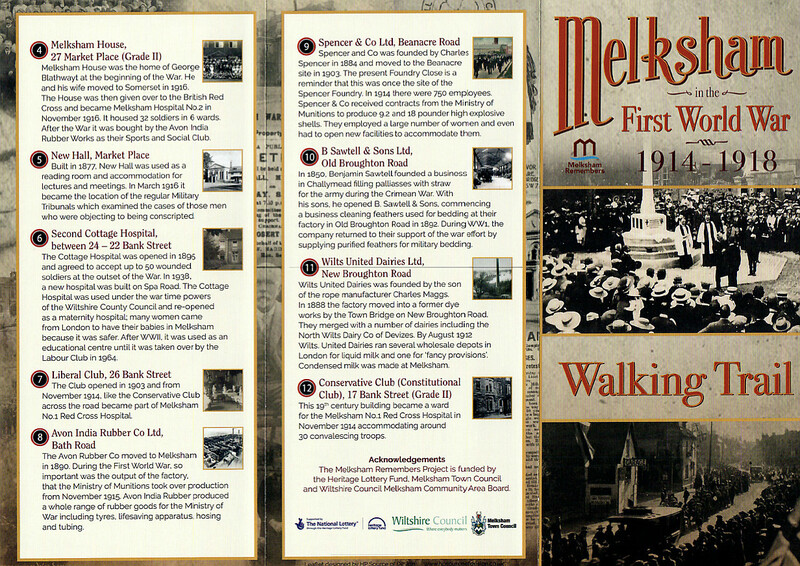 Two hundred years ago, Melksham was the largest town for many, many miles around and we have a fine history in some of our building and nooks and crannies. One hundred years ago, the town was proud to support the war efforts in the First World War, both in terms of the troops (many of whom gave their lives) from the town, and of the people who remained in the town and did so much locally for the war effort - especial reference to the women of the town who undertook hard and often dangerous work, and who cared for the wounded and convalescing troops who came to and passed though the Cottage Hospital and Melksham House. The information panels and a great deal of the history now form part of the Well House Collection which Lisa and I house on Spa Road. 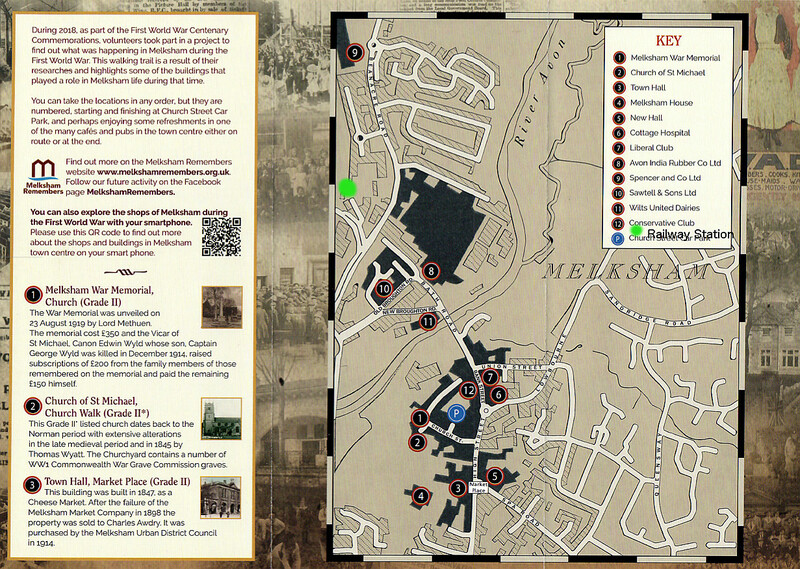 You'll note "re-opening soon" on that site - please get in touch ahead of a visit to Melksham and we can make sure we're around as will be most of the exhibits. And Lisa is a dab hand at local ancestry if you had relatives in the area in the past. Here's the leaflet, low(er) resolution. There's a limit to what data can be included on a trifold and (sadly from my view point) an assumption has been made that everyone will arrive in a private car and park in Church Street. 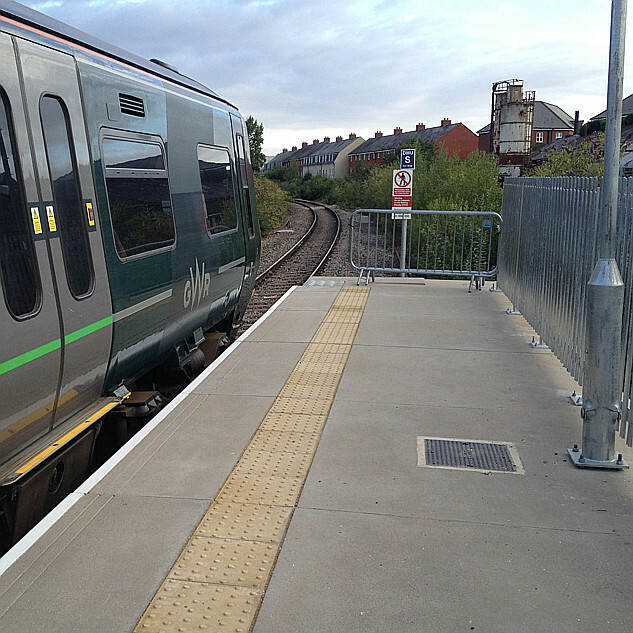 I have taken it upon myself to scrawl a green blob on the map to show where the station is ... and for people who are coming to this page from an internet search, can I direct you also to the Melksham Rail User Group website where you will find Melksham specific train and station details. Visitors arriving by bus will come to the Market Place, which is near to the New Hall - No. 5 on the map.